Hello to all the lovely Crafting Chicks! My name is Vanessa Brady and I’m usually found making crafty tutorials over on my blog, Tried & True, but today I’m super excited to be sharing this project with you. 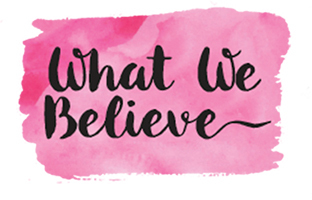 I’m a huge fan of all the gorgeous free printables that so many generous bloggers share but sometimes I don’t know quite what to do with them. 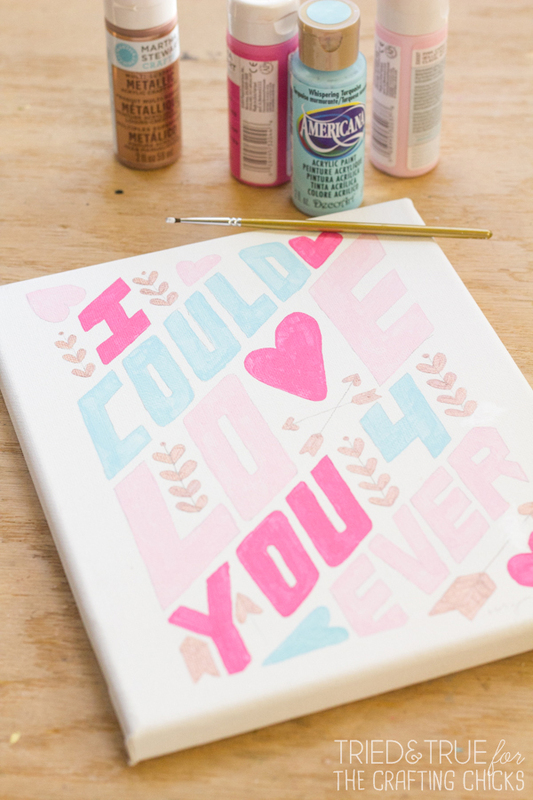 Why not turn them into free artwork for your walls?! 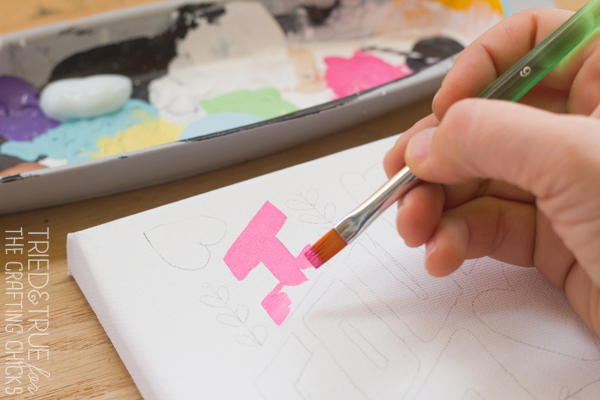 The process is super easy and even someone with zero artistic talent can make a piece of art they can be proud of! Step One. 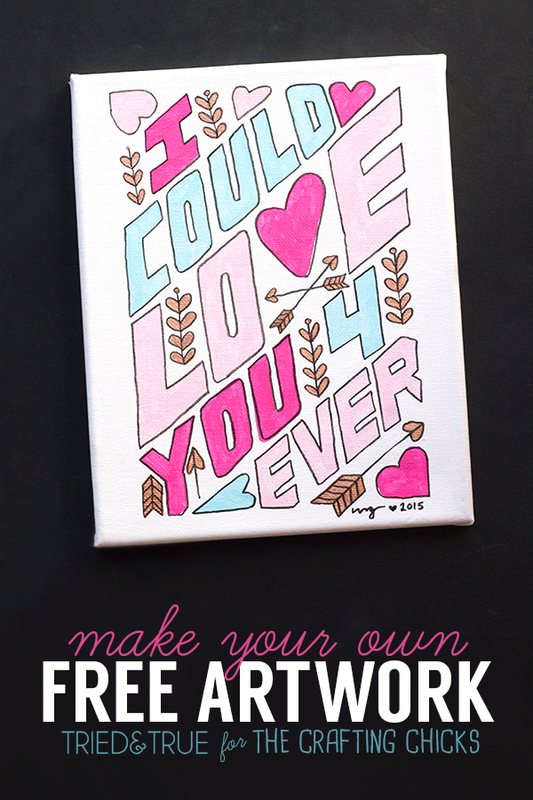 Print off the free printable of your choice in the correct size to fit your painting canvas. 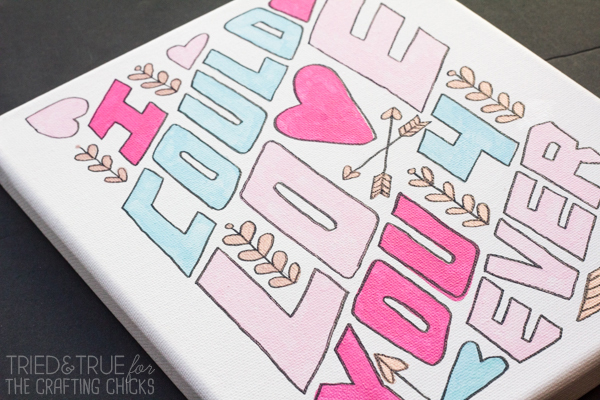 Unless you’re really comfortable with painting, I would suggest you start with a fairly easy print with large type. Most of my T&T Original Coloring Prints work perfectly for this! Step Two. Cut a piece of the graphite paper to fit the canvas and tape in place, ink side down. 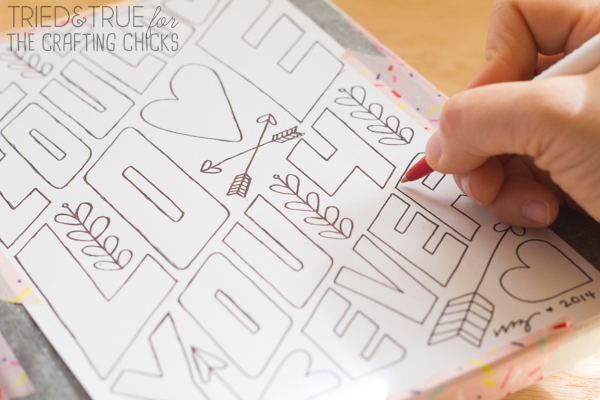 Secure free printable over graphite paper with more tape and begin to trace the image. Go slowly and carefully because all the lines you create (including any mess ups!) will be transferred to the canvas. Some of it you can just paint over but some you won’t! Step Three. Once you have completed tracing the entire image, remove both papers to reveal the artwork. Now it’s time to start painting in! Take your time but don’t worry too much about shaky hands or uneven lines. We want it to look handmade, not perfect! Step Five. 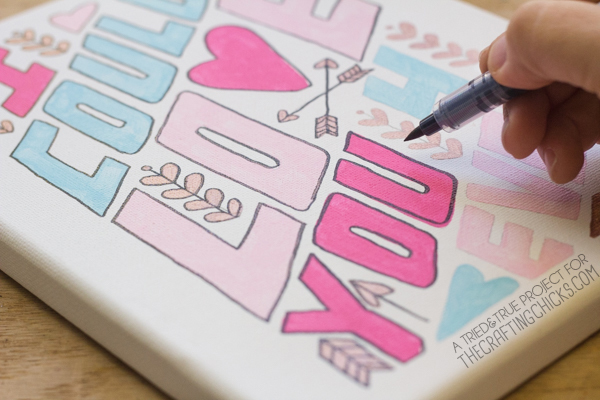 Outline the edges with a black paint pen to finish the piece off. I think most of my T&T Original Coloring Prints look better with the black outline but try it both ways, maybe you’ll like it better with just solid color! Hope you found this tutorial easy and helpful in making your own free artwork! 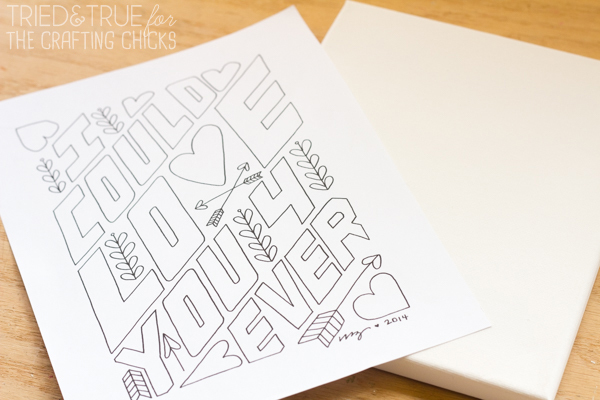 With as many free printables that are on the internet, your options are almost limitless. Thanks for having me and see you next month! What a GREAT idea for all those fun printables I have pinned!! LOVE this, Vanessa!